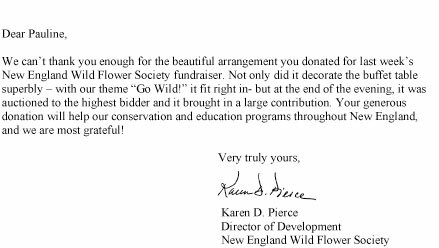 We can’t thank you enough for the beautiful arrangement you donated for last week’s New England Wild Flower Society fundraiser. 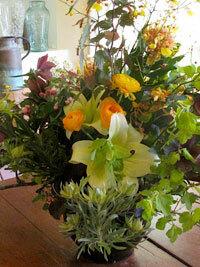 Not only did it decorate the buffet table superbly – with our theme “Go Wild!” it fit right in- but at the end of the evening, it was auctioned to the highest bidder and it brought in a large contribution. Your generous donation will help our conservation and education programs throughout New England, and we are most grateful!